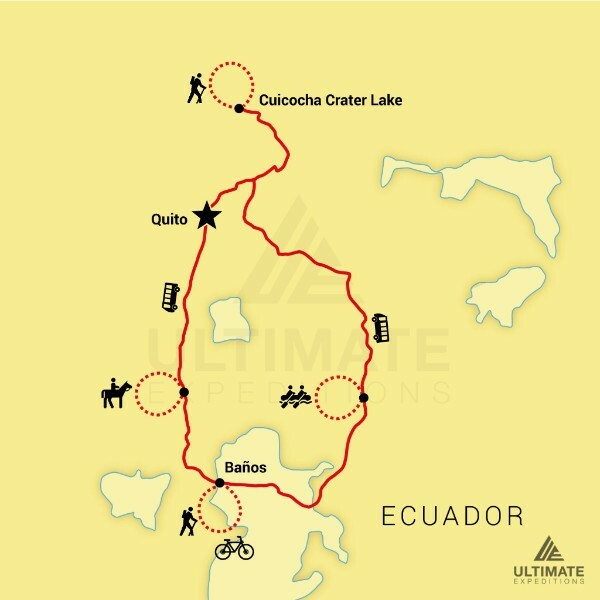 Fun and exhilarating to the core, this 8 day multisport adventure is designed to explore the uniqueness of the mainland in Ecuador, bringing dramatic volcanoes, grand canyons, lush rainforests and breathtaking waterfalls to life. Encounter wildlife and experience indigenous communities. Tread along hiking trails with exquisite vistas. Mountain bike on rolling hills. This is the ultimate Ecuador trip for those who crave activity and variety. 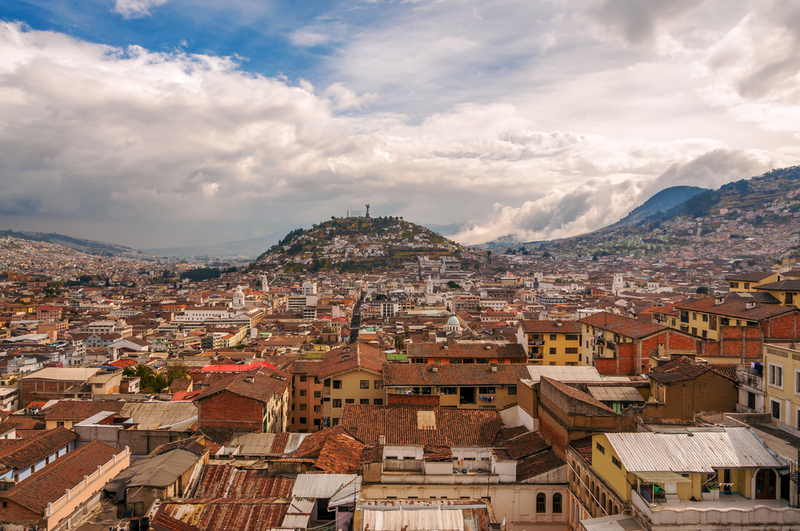 Quito is the capital city of Ecuador and is second highest capital city in the world. 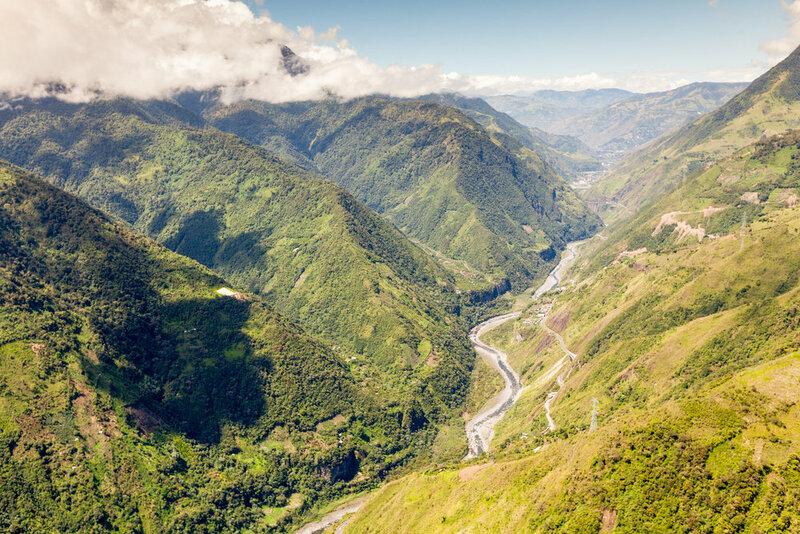 It rests at 9,350 ft above sea level in the Andean foothills. 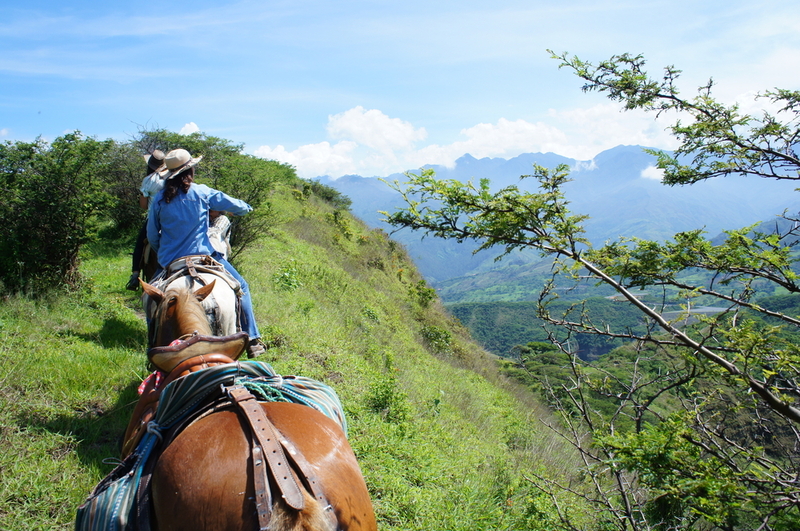 Ecuador's countryside is a wonderful place to explore on horseback. Relax and let the happy steeds bring you to the vistas. 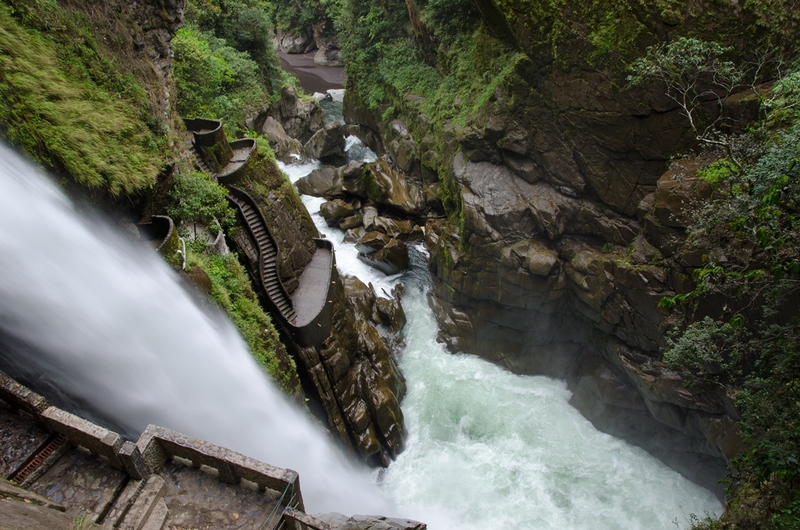 A thrilling mountain bike ride from Llanganates National Park to Pastaza River Canyon is sure to get your adrenaline going. 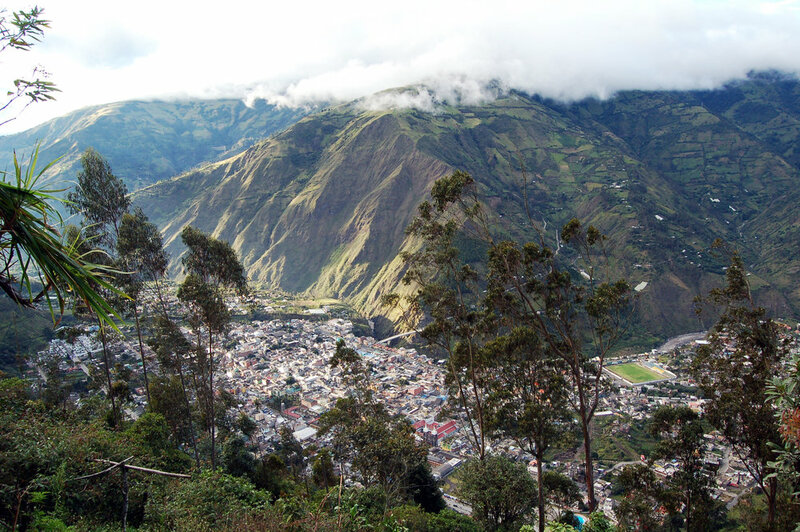 We will visit the city of Baños, the Gateway to the Amazon, for sightseeing and fun. The town sits on the side of Tungaurahua Volcano. Our dayhike will take us to many waterfalls including the spectacular Pailon del Diablo Waterfall, known as the "Devil's Bowl". 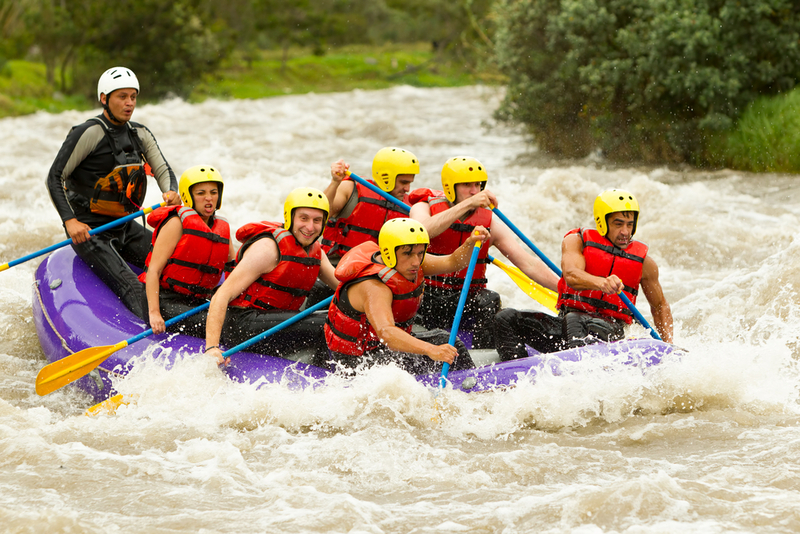 Embark on a class III whitewater rafting expedition down the Jatunyacu River. In the evening, rest and relax in the hot springs and volcanic pools of our overnight resort. 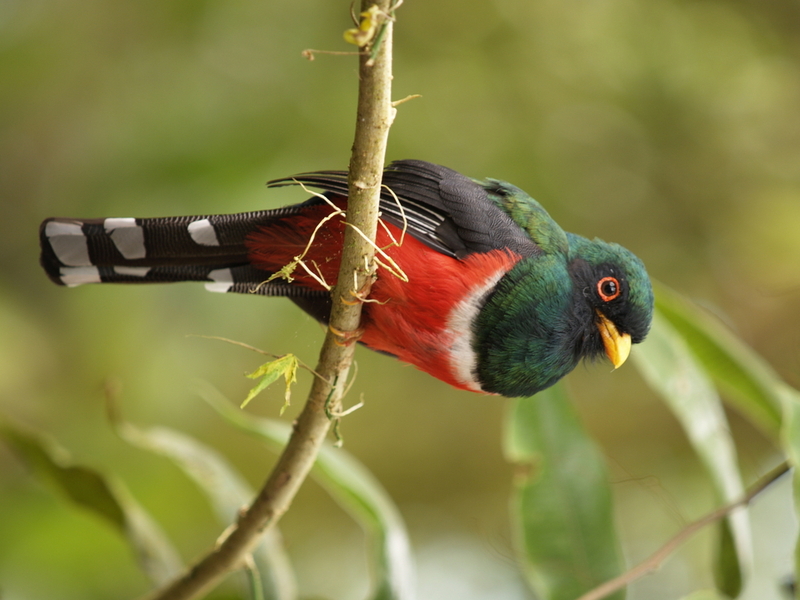 Our hike in the cloud forest reveals the vast bird life that exists here - like this colorful Trogon. We will also meet the indigenous people and learn local traditions. 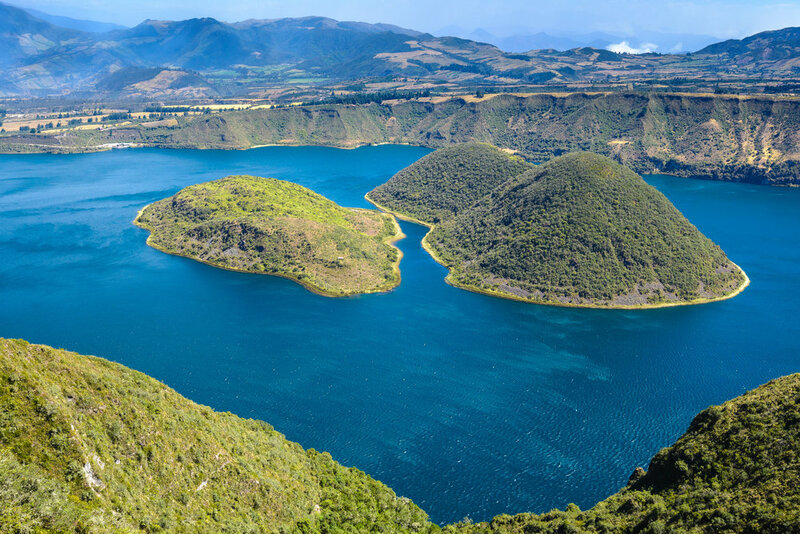 Ready for a 9-mile hike that tracks around the Cuicocha Crater Lake? 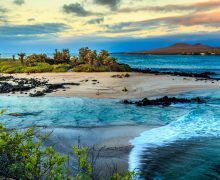 Bring your bathing-suit and jump in its volcanic waters for a refreshing swim. 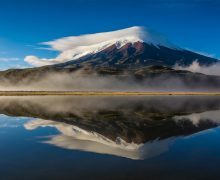 The 8 Day Ecuador Multisport begins in Quito, travels down to Baños and up to Cuicocha Crater Lake with a variety of activities planned along the way - horseback riding, mountain biking, river rafting and hiking. Why choose when you can do them all? Our 8 Day Ecuador Multisport trip is perfect for those looking for an active holiday. This trip includes: airport transfers, ground transportation, accommodations meals during the trip, all activities, gear for biking and rafting, trekking poles, and the services of Ultimate Expedition® expert guides.